We all, have at one time, had the belief that the UV rays from the sun could cause cancer, and that sunscreen is absolutely necessary if one was to go outside in the sun. However, new scientific research has reversed this belief. It has now been discovered that sunscreen is killing people, and that sunlight deficiency is deadly.According to a report of Natural News, many experts now believe that stepping outside without sunscreen is a healthy lifestyle choice. A recent study which examined over 26,000 participants found that taking high doses of vitamin D supplements over five years had almost no impact on stroke, heart disease, or cancer. However, this does not mean that vitamin D is not important, it means that the amount of vitamin D gotten from a pill is not enough to make any significant improvements in the human body. It is usually better to inspire one’s own body to produce its own vitamin D through exposure to sunlight. Vitamin D deficiency has become a very big problem in recent years. 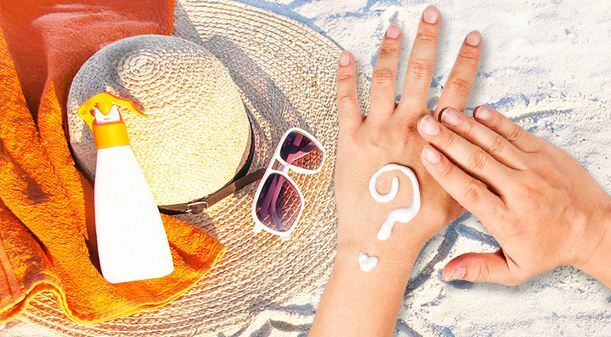 This is not surprising as people have always been taught to avoid the sun in the hopes of preventing skin cancer. Most people work indoors all day, and when they do go outside, they wear sunscreen to avoid UV rays. This failure to expose the skin to sunlight has now been found to have very grave consequences, and impact the skin negatively. A lot of people also take vitamin D supplements, to complement the amount of vitamin D needed for the body to function normally. However, clinical trials have shown that these supplements are no match for sunlight. Another study which was done recently exposed participants to 30 minutes of summer sunlight without any sunscreen and their blood pressure went down. High blood pressure is said to be one of the top causes of premature death and disease worldwide, and the decrease found in the study would be big enough to prevent millions of people from dying. Even though skin cancer comes with very frightening symptoms, its dangers may have been a bit exaggerated by sunscreen companies. Skin cancer might be very common, but it is not always as deadly as it is made out to be. A study that was recently published in the Journal of Medicine warned that: “Avoidance of sun exposure is a risk factor of a similar magnitude as smoking, in terms of life expectancy.” This means that failure to go out in the sun could harm you just as much as tobacco smoking can. Another issue of concern is that sunscreen is actually loaded full of dangerous chemicals that could cause cancer, infertility and damage the immune system when exposed to chlorine found in swimming pools. These chemicals also react to copper salts added to swimming pools to enhance the blue colour of the water; this causes sunscreen to break down into a substance called bromoform that has been linked to liver and kidney problems as well as nervous system disorders. The amount of sunlight exposure needed by an individual varies according to the person’s skin tone, location, weather and time of day, but generally, twenty to thirty minutes of daily sun exposure is recommended.